Not too small, not too big... just right. 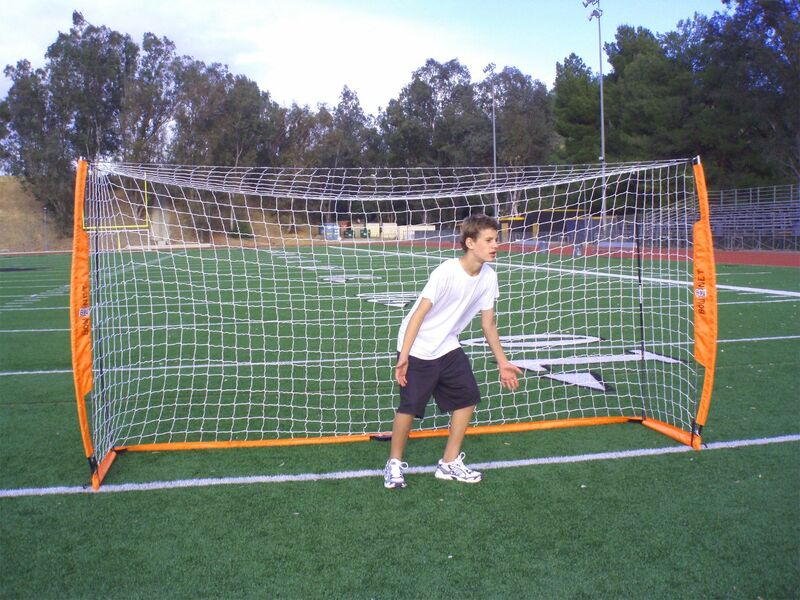 The 6x12 portable goal for soccer is an ideal size for practice and/or soccer games. 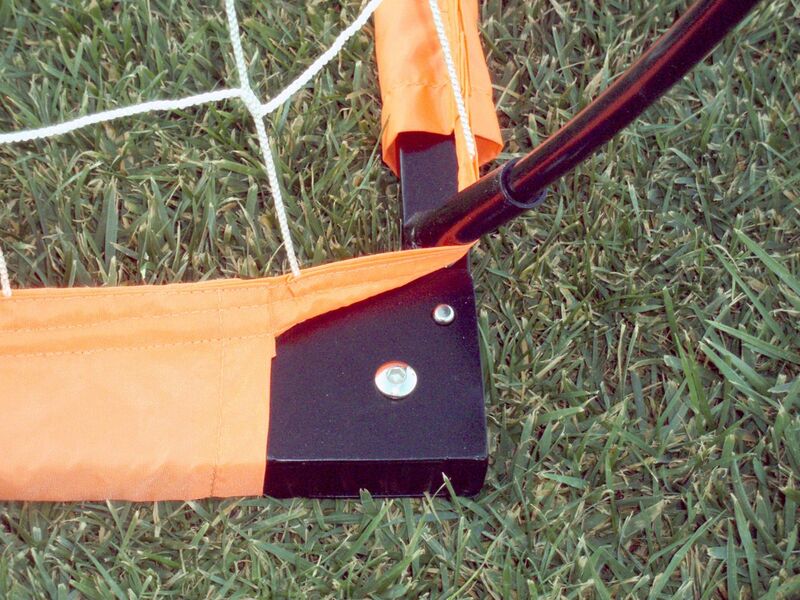 This portable goal has a setup time of less than three minutes - yes, you read that right - three minutes. It is only 25 lbs and one person can easily set it up. 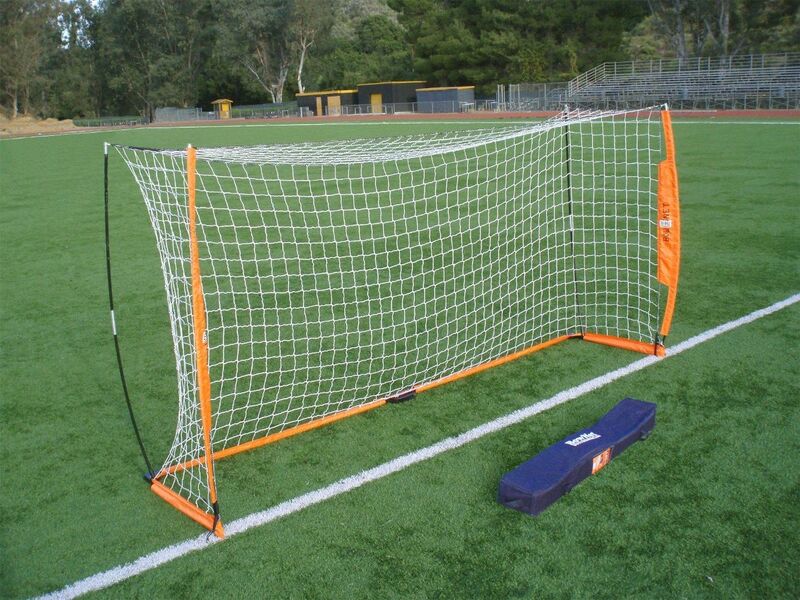 And don't worry about grabbing your tool belt - to put up this goal (and all other Bownet Goals) you DON'T NEED ANY TOOLS! That's right, no screwdrivers or wrenches. No hammers or drills. 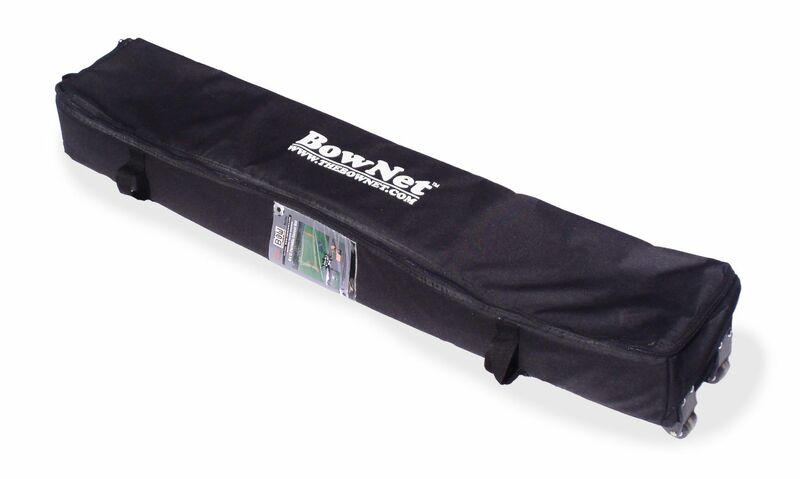 Folds quickly and easily into the FREE Roller Bag that accompanies the purchase of this goal. The goal is made of rigged steel and fiberglass - powder coated 25 mm diameter steel pipe with 12.7 mm fiberglass bow poles. 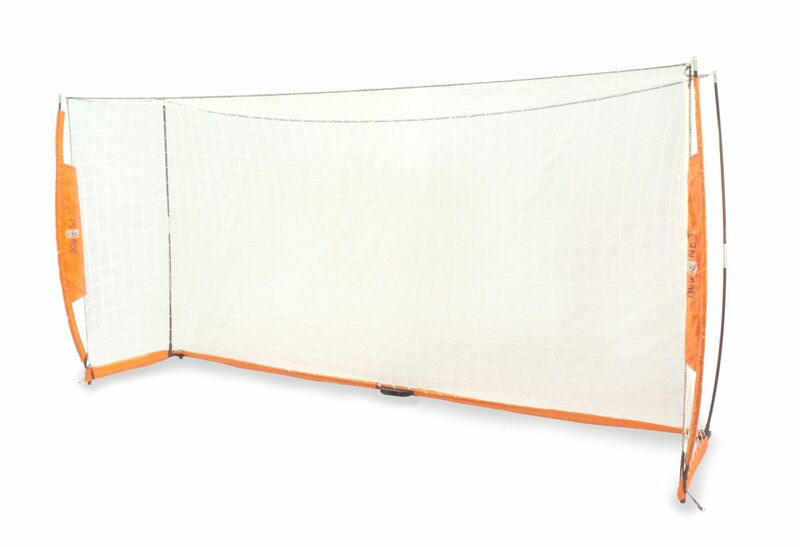 The netting is 100% poly UV-treated and knot-less. Don't forget about the FREE ROLLER BAG with each goal purchase. FREE Roller Bag Easy to transport and store. 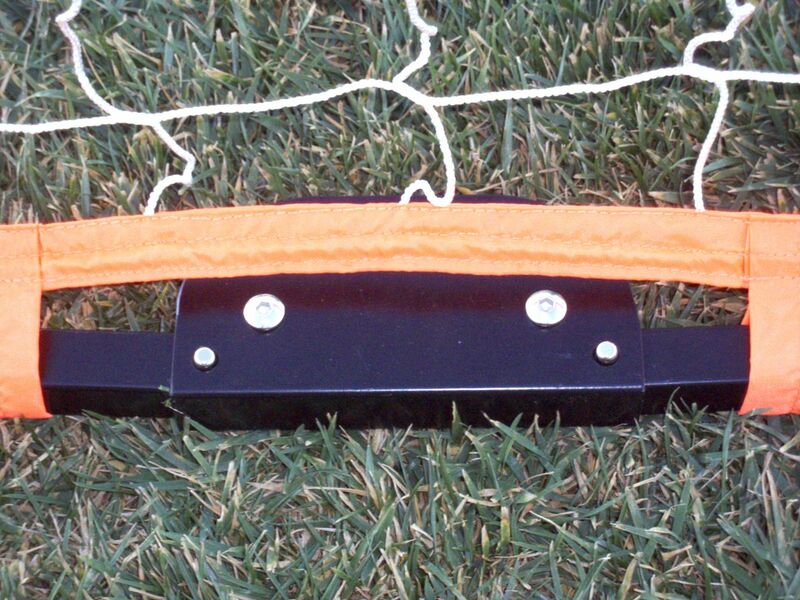 Includes Stakes Secure your goal easily. Fast Setup Less than 3 minutes and you'll be playing.